Barneys to exclusively launch riccardo tisci’s debut burberry collection in u.s. Luxury specialty retailer Barneys New York has designed custom Burberry takeovers throughout its Madison Avenue store and windows to coincide with the arrival of Riccardo Tisci’s debut collection for the British fashion house. 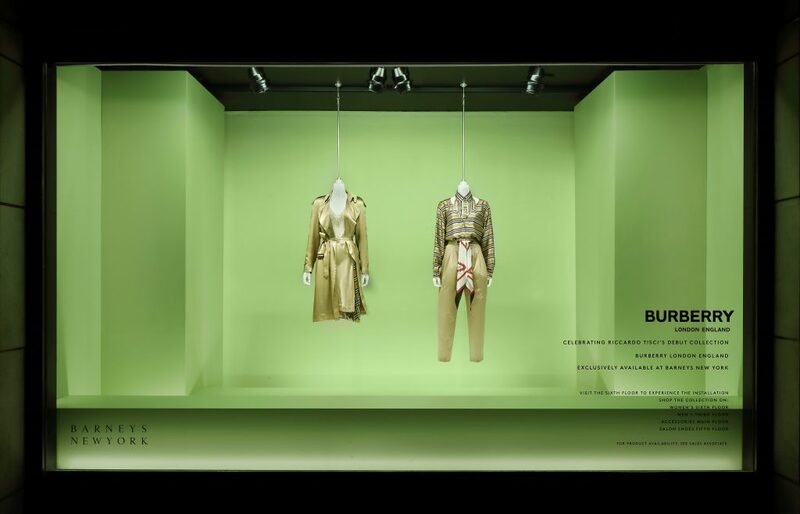 This transformation celebrates Barneys New York being the first in-store U.S. retailer to carry Burberry’s spring/summer 2019 collection alongside select Burberry stores in the U.S., with looks being available at its Madison Avenue and Beverly Hills flagship stores from today. Barneys’ Madison Avenue flagship has been visually transformed to incorporate bespoke individually themed experiences throughout the store inspired by the spirit, color palette, textures, materials, and attitude of Burberry’s newly redesigned flagship in London conceived by Tisci. Upon entering the Madison Avenue flagship, a concentration of Burberry plinths brings texture and tone to the space displaying Burberry’s newest collection of handbags, shoes, and accessories. Trench-inspired hues also feature throughout the Burberry in-store installations ranging from stone to honey alongside accents of red. Nods to Burberry’s London flagship on Regent Street, which was originally home to a public theatre, include pistachio drapes in the famed Madison Avenue windows and a graphic theatrical installation on the women’s floor which also pays homage to the Shakespearean references made by Tisci in his spring/summer 2019 collection. 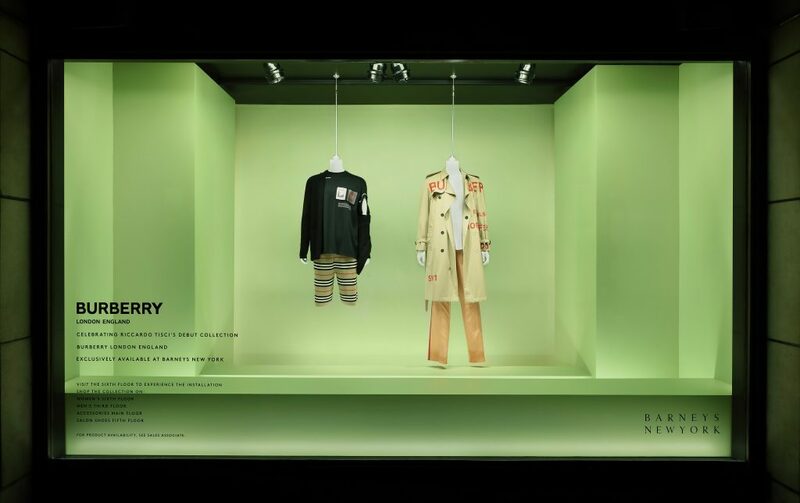 Barneys will also be incorporating the same creative treatment throughout their stores nationwide including Beverly Hills which will also feature bespoke window displays and multiple floor experiential takeovers.